Born Bartolommeo Brandini, called Baccio, at an early age he was influenced by Michelangelo’s poetics and became his imitator and rival. He started working in the town of Loreto in 1518, where he created a good portion of the panel of the Birth of the Virgin for the marble casing of the Holy House. 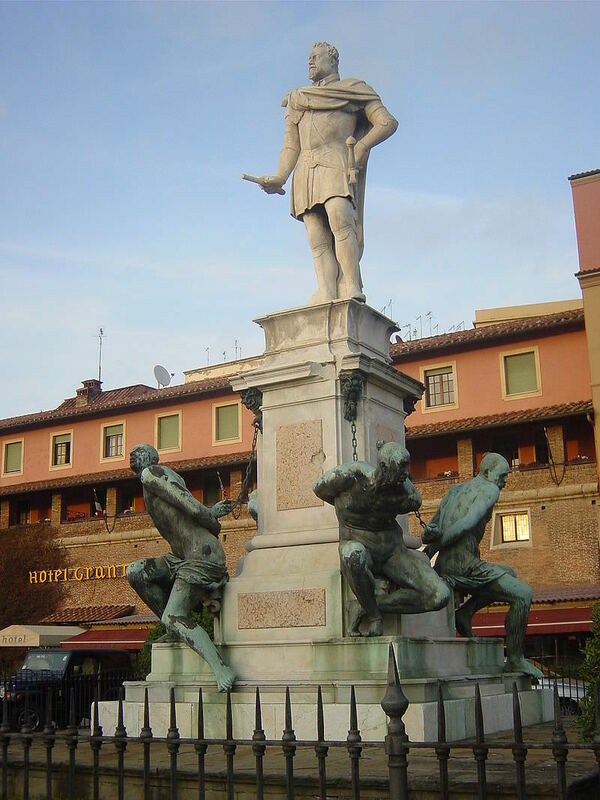 He worked in the Versilia workshops to create the statue of Andrea Doria, which remained in Carrara as a rough cast and was used to embellish the “Fountain of the Giant” in Piazza del Duomo. In Rome, he created the model of the statue of St. Michael to be placed atop Castel Sant'Angelo. He changed his surname to Bandinelli when Charles V offered him the title of “Cavaliere di San Jacopo” in 1530: since he needed to prove his noble ancestry, for the occasion he claimed kinship with the Bandinelli family of Siena. Among his major works, clearly inspired by Michelangelo, are Hercules and Cacus in Piazza della Signoria (1534), Adam and Eve, today at the Museo del Bargello, “Death Christ and Nicodemus” (called “Pietà”) located in the Basilica della Santissima Annunziata. From 1553 to 1572, he sculpted the reliefs of the choir screen of Santa Maria del Fiore, retained his masterpiece. The project entailed a marble base decorated with figures in relief around the octagonal choir, and then a dead Christ with two angels, a large Eternal Father in the background. On the choir’s extremity, two figures of Adam and Eve and other reliefs with scenes from the Old Testament. The sculptures did not meet the favour of critics, who instead celebrated the creation of “Dead Christ with an Angel”, today located in Santa Croce. Part of the marble relief of the presbytery enclosure is today still in situ and decorated with figures in relief, representing characters from the Old Testament. 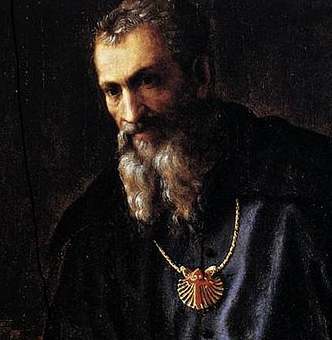 The series remained unfinished upon the death of the artist and was completed by his pupil Giovanni Bandini. For many of his Florentine works he used marble from Pietrasanta. Most of his subjects are mythological, as was typical of the artists of the time. 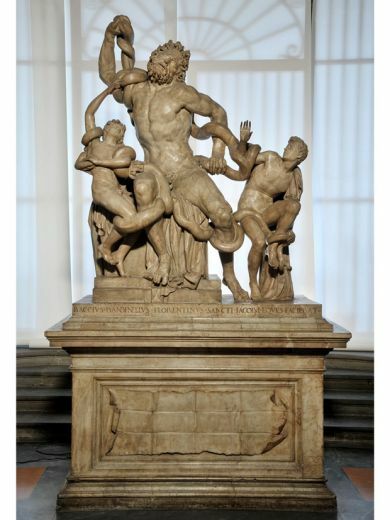 This is the context of the copy of the Laocoon, kept in the Uffizi Gallery and dated 1520-1525, restored in 2009. His most important work, commissioned after 1530, are the tombs of Leo X and Clement VII: the two matching tombs were originally destined for Santa Maria Sopra Minerva in Rome. 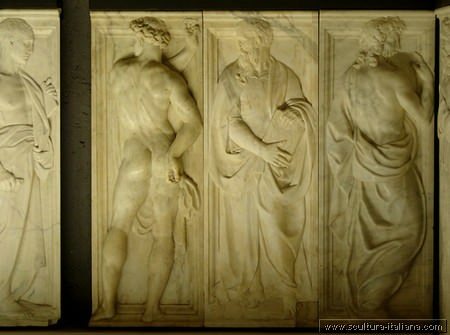 In particular, Bandinelli was entrusted with sculpting the two large seated figures of the popes, the side images of saints and the reliefs, and different episodes. Of the initial project, he finished only four figures of saints – Saint John the Baptist and Saint John the Apostle for the tomb of Pope Clemens, Saint Peter and Saint Paul for Pope Leo, because he was called back to Florence by Cosimo I to intervene on the tomb of his father, John of the Black Bands. He never finished this project because he wass attracted by the possibility of decorating the Hall of Justice in the north wing of the Salone dei Cinquecento in Palazzo Vecchio, the new residence of Cosimo and his family. 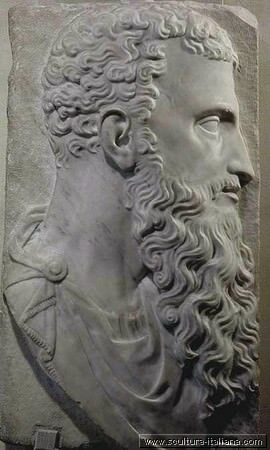 For the minor niches of the far wall, he sculpted the statues of John of the Black Bands and of Alessandro De’ Medici, Duke of Florence; in the central niche, the figure of Clement VII and for a niche located in a side wall, the figure of Cosimo. 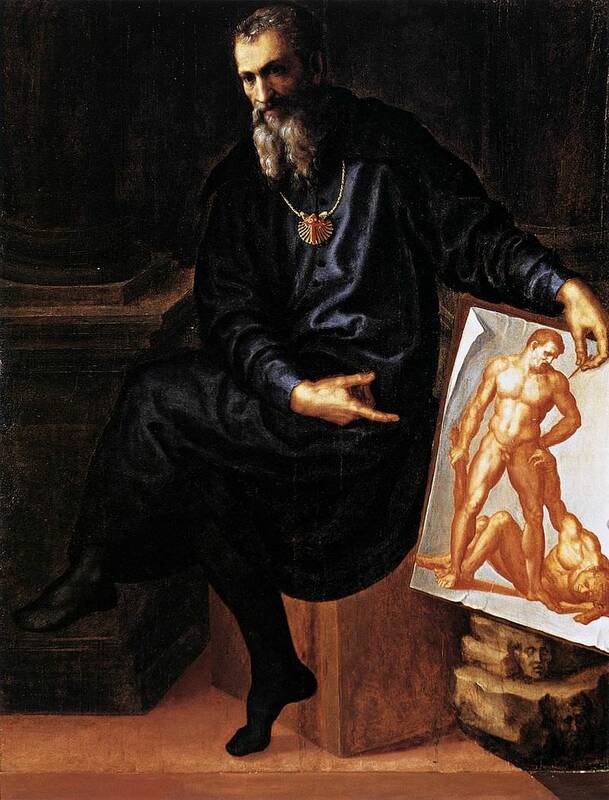 The unfinished project was later completed by Vasari. 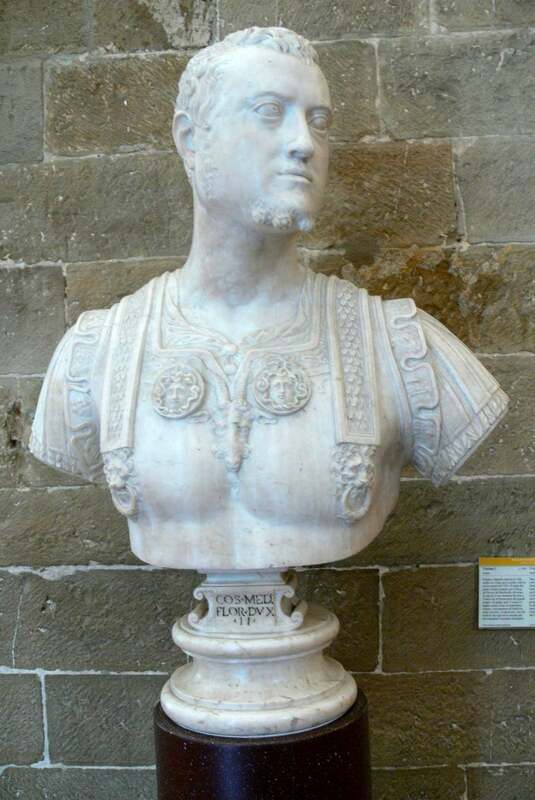 He also sculpted a bust for Cosimo I (1540), today located at the Museo del Bargello. During a particular period in his life – the papacy of Adrian VI – he was involved in painting. He drew the “Massacre of the Innocents”, engraved by Agostino Veneziano and Marco Dente da Ravenna. Drawings of this work are found at the Uffizi Gallery and at the Louvre and thanks to this ambitious project, Bandinelli acquired renowned fame. He died in Florence in February 1560.